Bottling a little summer goodness. I can't take credit for this pic above or this easy recipe, it's borrowed you see. 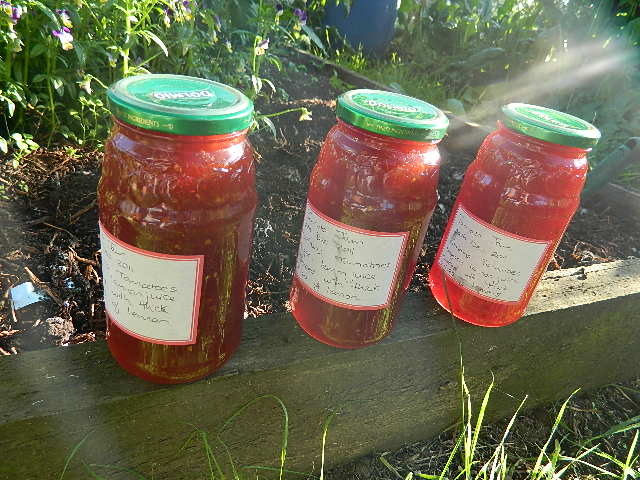 Had a little hunt around the internet for Tomato jam, some even had grated ginger. Finally arriving at this recipe. The tomatoes were all from my garden, big fleshy fruit. The recipe calls for 4 1/2 lbs but I had 5 lbs.But by the time the jam is ready it has reduced to a jelly with little seeds, so very pretty. Just had the thumbs up, a little taste testing of the pot left overs. Well I better get to cleaning that kitchen. 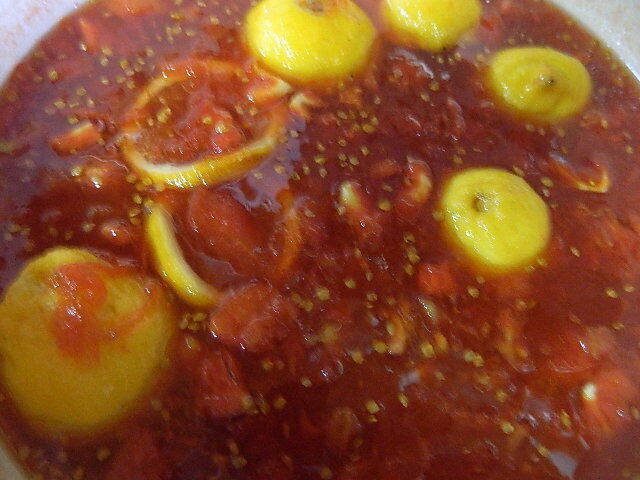 Tomorrow I am going to make plum jam. I have never had it, what does it taste like?? 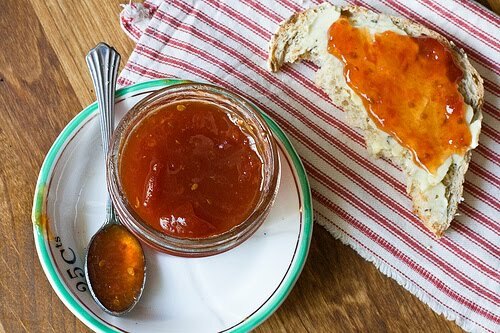 Oh you jam looks delicious! I love tomato jam...it is sooooo good!